Apprenticeship programs give you a competitive advantage, whether you are going to university, college or trades. They enable you to get a head start on post-secondary education and make a smooth transition to high demand careers – while still attending high school. 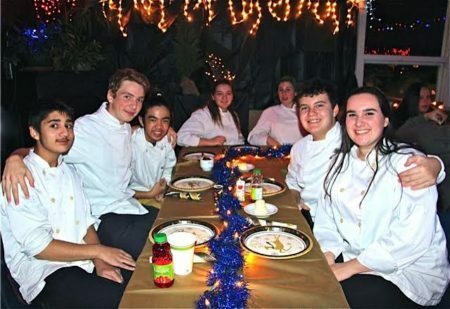 Note for 2019/20: We have spots available in our school-based Chef, Plumbing and Carpentry apprenticeship programs! At NWSS, we have three school-based apprenticeship programs for grade 11 and 12 students:Carpentry, Chef and Plumbing.Please see our application form here. Our off-campus apprenticeship programs are for grade 12 students who attend various post-secondary institutions. These programs are Auto Paint, Baking, Electrician, Metal Fabrication, Millwright, Motorcycle Technician, and Industrial Painter-Decorator. Please find our application form here. See our NWSS Apprenticeship Programs Brochure. If you have any questions, please contact your school grade counsellor and/or the Career Coordinator. Youth Explore Trades Brochure – Are you interested in exploring construction careers? Interested in an NWSS Apprenticeship Program but not sure which one? Youth Explore Trades Skills 10 – 12 elective course provides students with a unique opportunity to learn by doing in many career areas, such as: electrical, piping, framing, finishing, carpentry, drywalling and more. Youth Work in Trades Brochure – The Youth Work in Trades program provides students with a unique opportunity to earn as they learn. Students earn up to 16 graduation credits(4 courses) for their paid work as an apprentice.